Planning a wedding is never the easiest thing in the world. Couples often find wedding planning to be immensely stressful and anxiety-inducing. If you want to plan a wedding day that’s 100 percent perfect, you have to be as meticulous and careful as possible. Wedding planning involves choosing a reputable catering company. It involves selecting the ideal venue. It involves choosing a talented and capable photographer as well. Choosing a good wedding photographer can sometimes feel more than a little scary. You want to find someone who can document the happiest day of your life exactly as it happened. It can be intimidating to give someone that type of responsibility. If you want to do your best to find a great wedding photographer, however, these suggestions may be able to get you moving in the right direction. There are many kinds of wedding photographers out there. They don’t all have the same photography styles, either. Some wedding photographers take modern and contemporary approaches. Others focus on traditional and classic styles. There are even some wedding photographers who have penchants for documentary style takes. If you don’t want to feel overwhelmed by all your choices in photographers, you should narrow things down as much as possible. Select a photography style that’s suited to your personality and goals. Consult your future spouse, too. If you can both agree on a photography style for your upcoming wedding, the decision process should quickly become a lot easier and more hassle-free. The reality is that the search for a good wedding photographer calls for ample research, time and dedication. The Internet can be extraordinarily helpful to couples who want to find wedding photographers. Search for reviews from people who have recently gotten married. 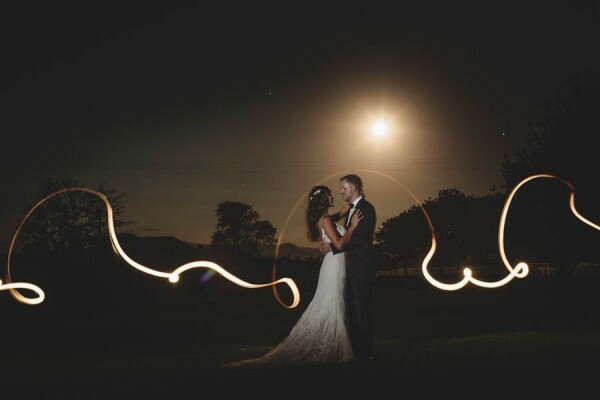 Find out what they have to say about their wedding photographers. It can also help to visit bridal blogs that may be able to offer you insight. Search for wedding photographers’ official websites, too. Wedding photographers who are serious and motivated tend to have website galleries that put their best work on display. Their websites often discuss which types of weddings like they to shoot. If you want to find a wedding photographer who is up your alley, it may be as simple as taking a tour of his or her website. Social media sites, last but not least, can also make terrific resources. Many talented wedding photographers have presences on Twitter, Instagram and Facebook. If you check out a photographer’s Instagram account, you may be able to see examples of weddings she has shot recently. You may even be able to read comments from some of her satisfied customers! Those can go a long way. You should never make the mistake of hiring a wedding photographer based on photographs alone. That can be disastrous. Your goal should be to select a wedding photographer who acts as a consummate professional. Your goal should be to choose one who is 100 percent reliable, too. There are many wedding photographers out there who have the ability to take great pictures from time to time. That means nothing unless they’re dependable people, however. If you want to find out if you can trust a wedding photographer, schedule an interview with him. Get a feel for him in person. Ask yourself if he seems enthusiastic about shooting your wedding. Ask yourself if he seems experienced, capable and serious. Ask yourself if you get a good vibe from him in general. These questions are all incredibly important.